Jerusalem (AFP) - Israel's prime minister's office has quitely toned down talk by Benjamin Netanyahu of a shared interest with Arab states in "war" with Iran, replacing the word with "combating" in its English-language transcript. Netanyahu made the comments on Wednesday on the sidelines of an international conference in Warsaw organised by Washington to discuss Iran and the region, and attended by the foreign ministers of a raft of Gulf Arab states. Netanyahu and his US ally have sought to play up the rare public appearance of senior Arab officials at a common forum with an Israeli prime minister. 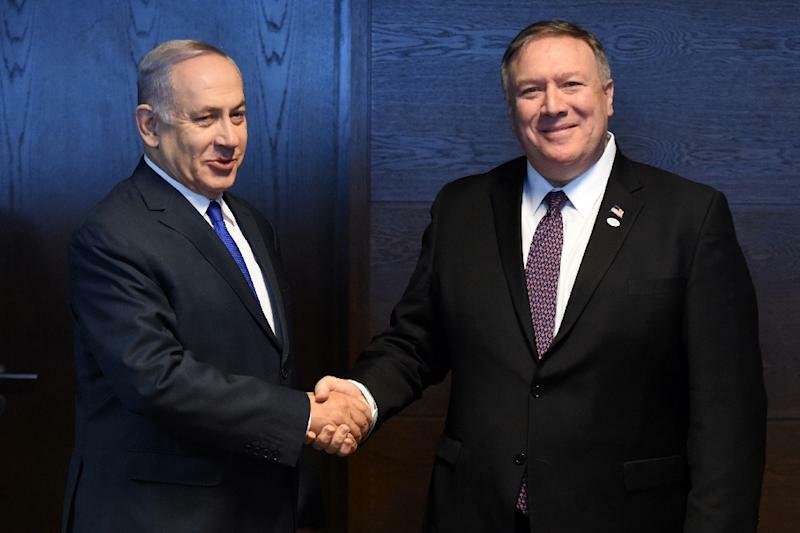 Both have highlighted the shared hostility towards Iran of Israel -- which regards Iran as its biggest foe -- and Saudi Arabia -- which sees it as the main challenger to its influence in the Middle East. In video footage of his comments that remained on his official Twitter account on Thursday, Netanyahu clearly speaks of a shared interest in war with Iran, using the Hebrew word milhama. "What is important about this meeting –- and this meeting is not in secret, because there are many of those –- is that this is an open meeting with representatives of leading Arab countries, that are sitting down together with Israel in order to advance the common interest of war with Iran," he said. The prime minister's office also used the word "war" in its first English-language translation of his comments. But two hours later, it published a "reissue" of its transcript, altering the English translation of the final phrase to "combating Iran." It gave no explanation for the change when asked by AFP. Netanyahu has repeatedly pledged to use all means at his disposal, including military, to prevent Iran acquiring advance bases on Israel's doorstep. In recent months, he has broken with the conventional ambiguity of Israeli leaders about military operations to speak openly of Israel's air war against Iranian targets in neighbouring Syria.